When it comes to something as important as your business image, you need to find a company that understands that and works with you to find innovative ideas that will add value to your business. For over 35 years, businesses have trusted First Impression Sign Company to do just that - so let our experienced staff take care of all your signage needs. 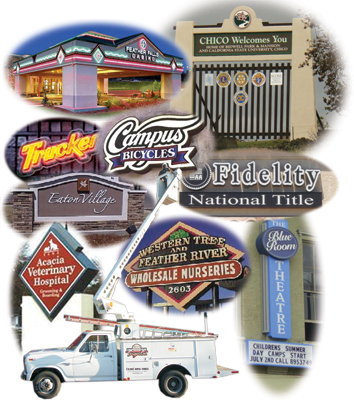 From ideas to finished product, from 1 set of magnetics to complete wayfinding systems, from channel letters to monument signs, First Impression Sign Company excels in providing you the very best. Feel free to navigate through our website, browse our services and portfolio, and please call us for a fast and friendly quote at (530) 895-1003.